Have a Child Who is Graduating? Lady Bird – Join other parents from CSMSG at Marty’s home at 75 Lake Forest Dr., 63117, to watch this MUST SEE movie if you are raising a daughter, or you know someone who is! Movie night will be on Friday, June 29 th . We will gather at 6:30 and the movie will begin by 6:50 pm. Please bring a snack or dessert to share. Drinks will be provided! How do I keep up with the latest going on with the CSMSG Parent Link? Follow us on CSMSG Parent Link Facebook page and Instagram . 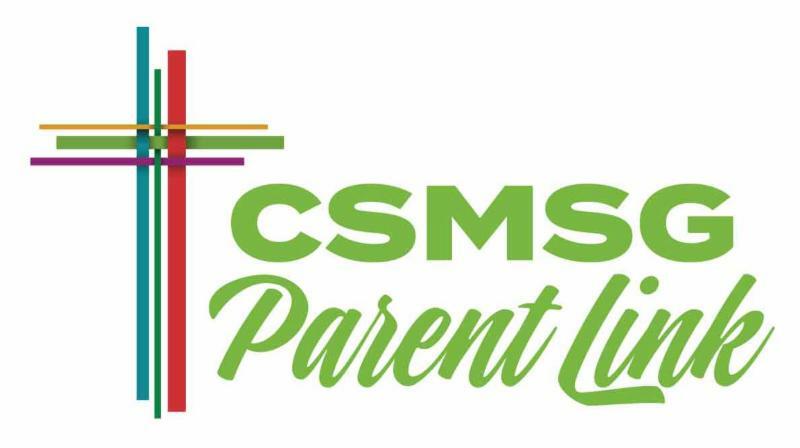 This CSMSG Parent Link Update is published monthly. The Parent Link webpage is updated frequently with service opportunities and new resources. STAY TUNED: The Road Back to You by Ian Morgan Cron. BOOK REVIEW: iGen: Why Today’s Super-Connected Kids Are Growing Up Less Rebellious, More Tolerant, Less Happy–and Completely Unprepared for Adulthood–and What That Means for the Rest of Us by Jean M. Twenge,PhD. Check out Timothy Chapman's book review HERE. PARENT LINK REPRESENTATIVE: If you would like to be a liaison for families with children in similar grades as yours, please contact Marty Chapman . Casserole Assembly – Join women from the Church Service League to assemble casseroles from 5:00 – 7:00 pm THIS Tuesday, June 5thin the kitchen at CSMSG. RSVP to arwiedle@sbcglobal.net or ZACLIFE@aol.com. Middle School Mission Week - June 4-8, 2018; Participation needed by adults in many areas to assist throughout this week of local service opportunities for rising 6-9 graders. On Friday, June 8th, volunteers are needed to help set-up and cook burgers and brats for the Gateway 180 residents and their children from 10:30 am – 1:30 pm in Forest Park! E-mail Timothy Chapman at timothy@csmsg.org to sign up. Hunger Ministry Saturday Sandwich Making - 3rd Saturday of every month; Join volunteers of all ages to make sandwiches to donate to Gateway 180 Homeless Shelter. Contact Allison Wiedle to volunteer, or just show up! High School Mission Trip - July 13 - 21, 2018; Erie, PA; Adult Chaperones are needed for this week of service sponsored by the Youth Ministry. Contact Timothy Chapman to apply. Summer Trip to Nicaragua : July 21 - August 4, 2018 (Travelers can go for one or two weeks.) ; 19th annual mission trip to Nicaragua by World Service Mission Ministry. This is a wonderful trip to take as a family. The primary focus of our trip is working in a school in the rural outskirts of Managua. Some people will work on maintenance of the school and building projects, some will help in the classrooms, and others will go on home health visits or help out in the local health clinic. Nicaragua is a beautiful country so sightseeing and excursions are also included in the trip. We stay in a modest but safe and comfortable guesthouse. The trip is open to anyone of any age who is willing to work and is open to a new experience. Children under the age of 16 are welcome to go if accompanied by a parent. To sign up or for more information, please contact Jennifer McGrath or 412-334-6398 .